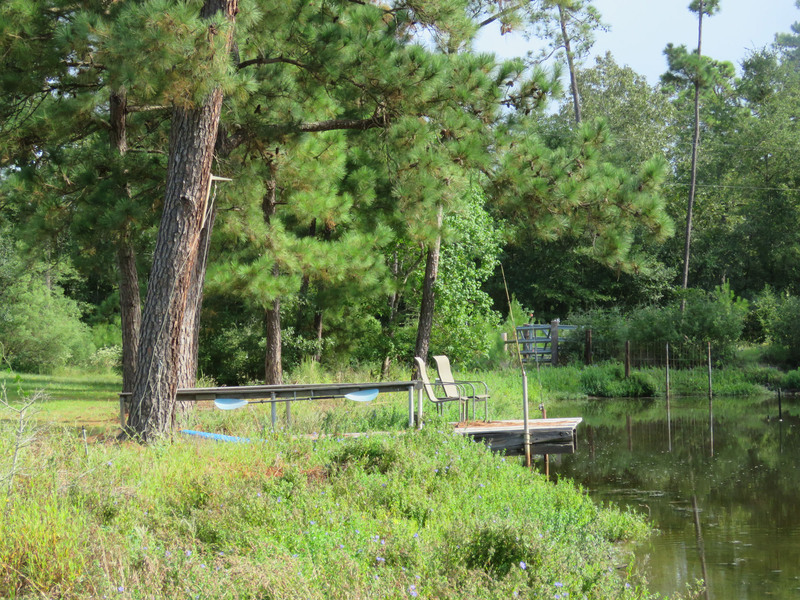 This little dock is a great place for morning coffee and birdwatching. 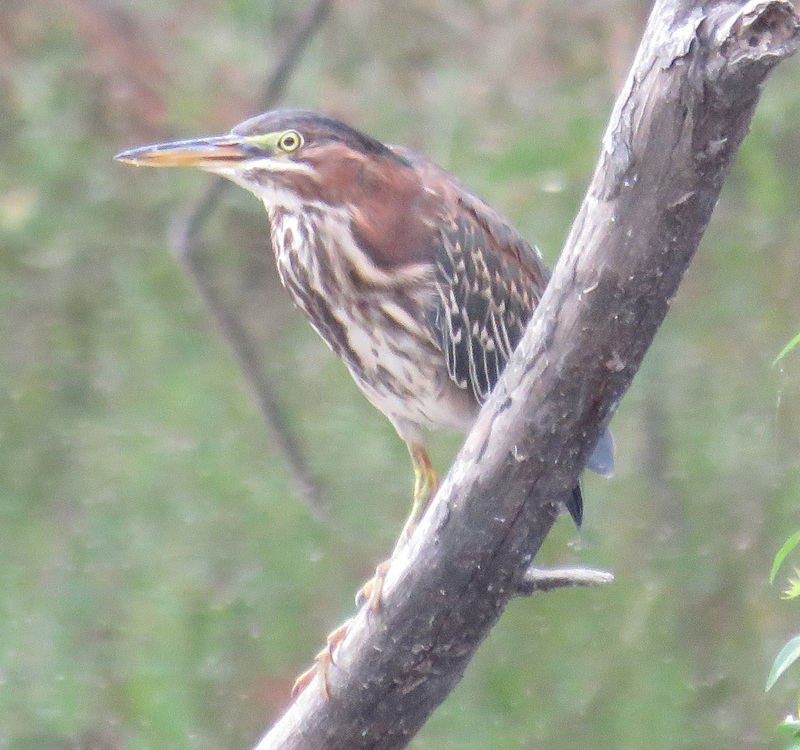 A Green Heron landed on the same fallen tree all the other water birds like. 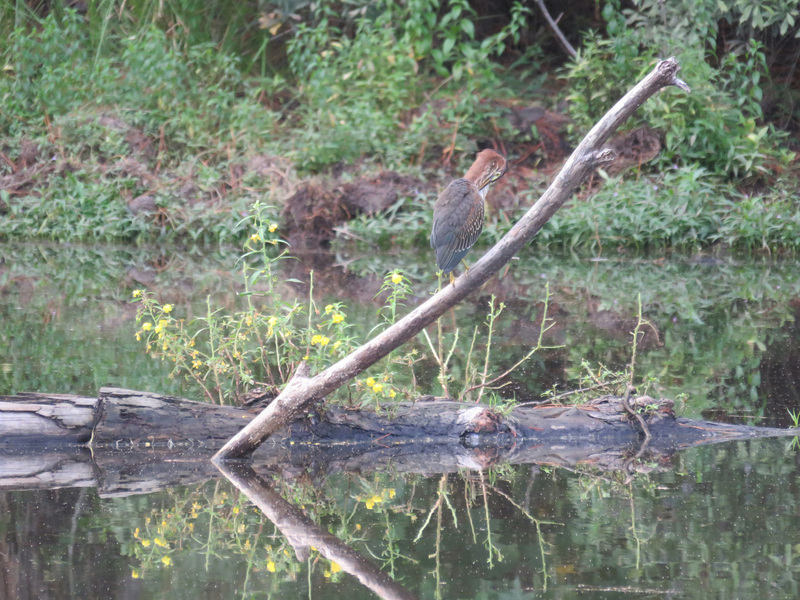 Green Heron shows off his profile. 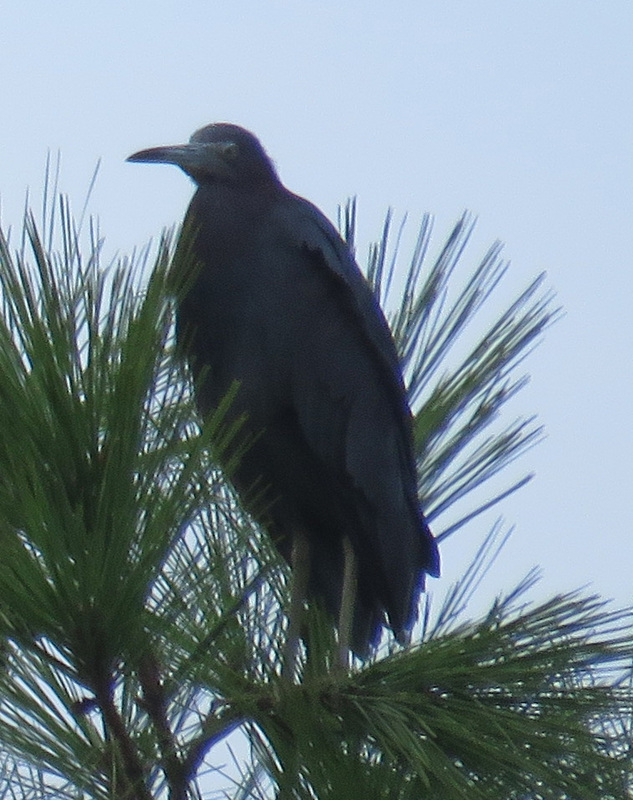 Way up in the top of a pine tree, I saw this bird and thought it was a crow, but took a few pictures anyway. 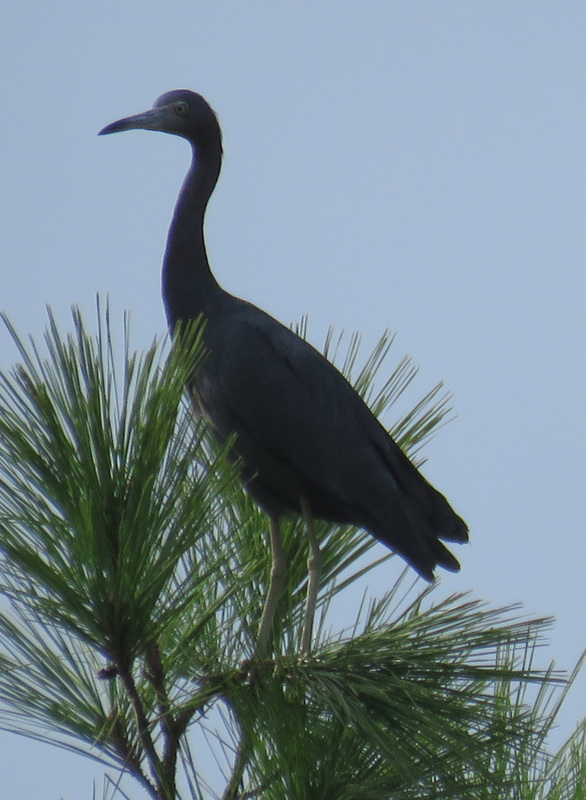 Back in the house, I looked at the pictures on my computer and realized it was a Little Blue Heron. 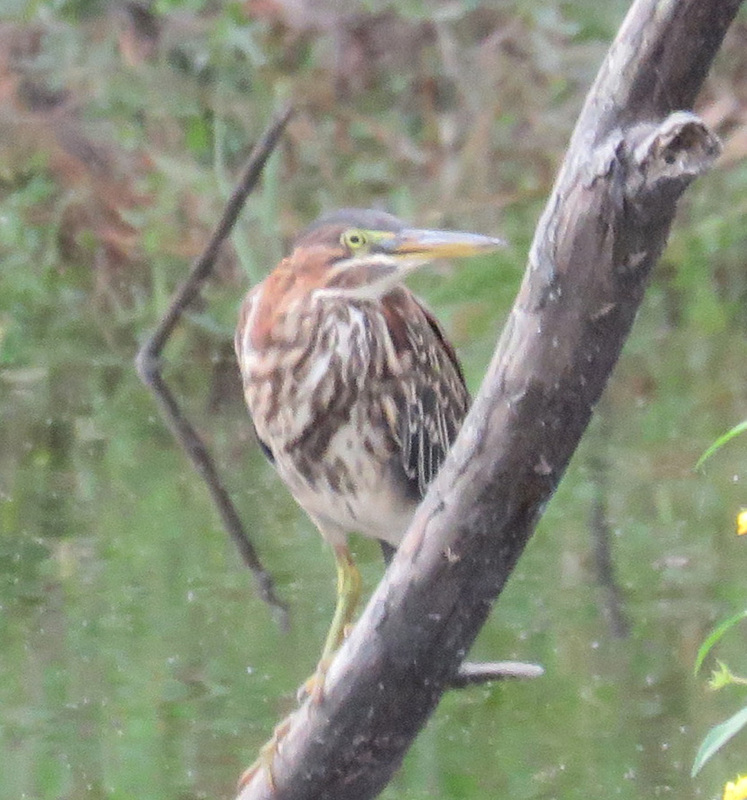 I ran outside for more pictures, and fortunately it was in the same place. 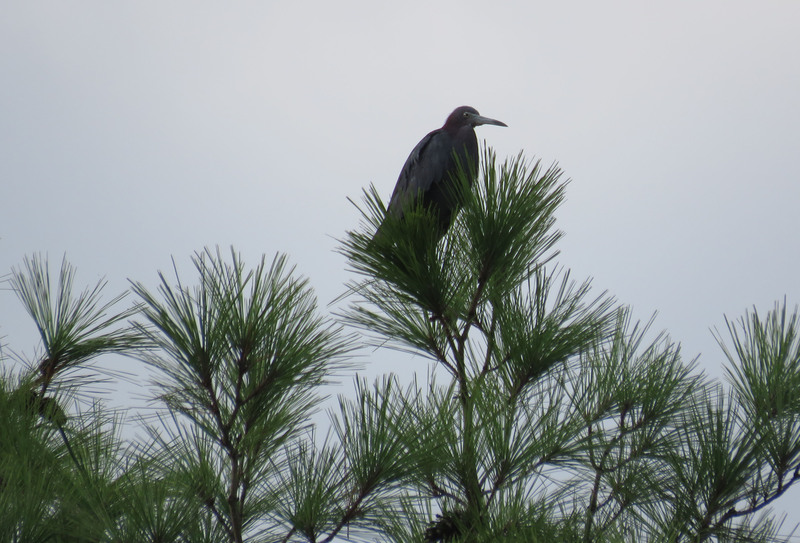 It straightened up and revealed its full heron form. Both of these species show up here occasionally. It was a treat to see them together.